Looking for Eye Doctor in West Vancouver ? Check out our Office! Looking for an Eye Clinic in the West Vancouver Area? 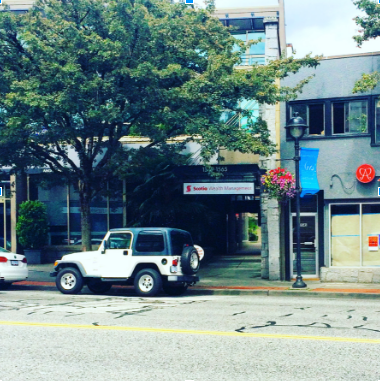 The Eye Care Team at Optomeyes in West Vancouver is conveniently located on the north side of Marine Drive, between 15th and 16th street. We’re located on the second floor in the same building as “Angell Hassman Ltd”. Our optometrists (Dr. McRoberts, Dr. Bowden, Dr. Davidson, Dr. Hennenfent) and our ophthalmologist (Dr. Holland) keep up with the latest advancements in eye care so they can continue to provide the highest quality of care. Your eye doctor should not only be someone you trust, but should also have the knowledge and expertise to provide you with exceptional care. Using the most advanced technology and techniques, the doctors at Optomeyes will improve and preserve your vision so you can see and feel your best now and into the future.